1.e4 e6 2.d4 d5 3.e5 c5 4.Nf3 Nc6 5.Bd3!? >= c3, here or next. 5...Bd7 >= ...cxd4, on this turn or the following. 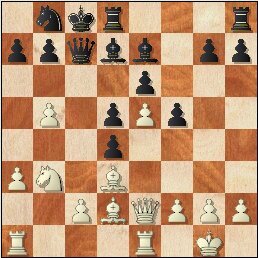 8.Nxd4 cxd4 With a pair of Ns off, Black can play ...Nc6, instead of ...Ng6 - which permits BxN & makes it easier for White to collect the d4P. 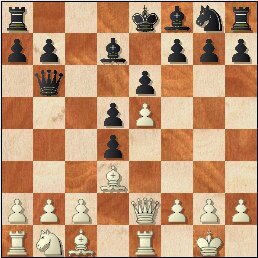 19.Na7+ Kc7 20.Nb5+ Hart repeats moves while working things out. 28.Rb1 The Black monarch is caught in a mating net & coughing up a R is the only way out.